GoH Bios | Arisia 2016 -- Now with 32% more Whimsy! 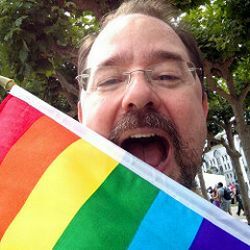 John Scalzi is the author of many books, including the Old Man’s War series and Red Shirts. When he is not busy writing books, he was a Creative Consultant for the Stargate: Universe television series. Writer for the video game Midnight Star, by Industrial Toys. Former president (7/10 – 6/13) of the Science Fiction and Fantasy Writers of America (SWFA). Executive Producer and Consultant for Redshirts, Ghost Brigades and Lock In, all currently in development for television. After a ten-year career in the defense and high-tech industries, Johnna left the engineering world to become a full-time artist and woodworker. Johnna was born in eastern Massachusetts and attended the University of Massachusetts at Amherst, where she received her BS in Computer Science and her MSECE in Electrical and Computer Engineering. She is a member of the American Association of Woodturners, the Southern Maine Woodturners, the Maine Woodworkers Association, the Association of Science Fiction and Fantasy Artists, and the Computer Society of the Institute of Electrical and Electronics Engineers. Pablo Miguel Alberto Vazquez considers himself many things, including performer, poet, wild fanboy, sometimes scholar/always student, agitator, bard-magus, and whatever else he comes up with. A true lover of Freedom and Passion, he champions love and unity, liberty and danger, creativity and aesthetics. He’s a cinephile, DC Comics enthusiast, voracious reader, and avid gamer (tabletop/video). 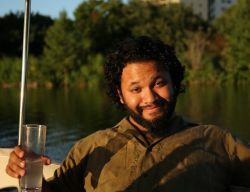 Born alongside the Panama Canal, he strangely does not like extreme heat and views his perfect weather to be something akin to Fimbulwinter, but he definitely is a child of the Caribbean, with all of its mystic glory, tropical paradises and delicious culinary trappings. Pablo spends his time traversing various underground and subcultural communities, ranging from magical lodges and mystic circles, unsanctioned parties and kink events to Underground Rap and radical bookstores to, of course, Science-Fiction and Fantasy fandom. At 21, she earned her Master’s degree in Folklore and Apocalyptic Religions. She tried teaching at the college level, but learned that she was much better suited to managing one person (no matter how complex and subtle) than seventy-five at a time. 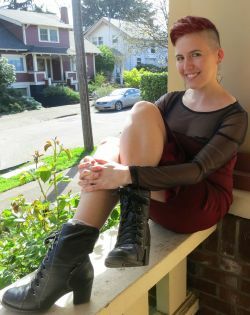 Instead of moving to Kazakhstan or earning another degree, she became the Assistant to author Patrick Rothfuss where she shepherded best-selling ‘The Wise Man’s Fear' through to completion and helped establish Worldbuilders - a charity that uses the collective power of readers, authors, and book lovers to make the world a better place. She now lives in Portland, Oregon and professionally Muses for award-winning illustrator and designer Lee Moyer. A Muse’s work is complex and interdisciplinary - researching, modeling, building spreadsheets, editing, writing contracts, accounting, gardening and culinary inventing - Why level up only one adult skill at a time? Her researches have led her to such far-flung places as Hobbiton, Budapest, Reykjavik, Prague, Oslo, Venice, Cinque Terre, and the Great Barrier Reef. She takes great pleasure in the act of living and being human!